anastasia & Dimitri in "Anastasia". 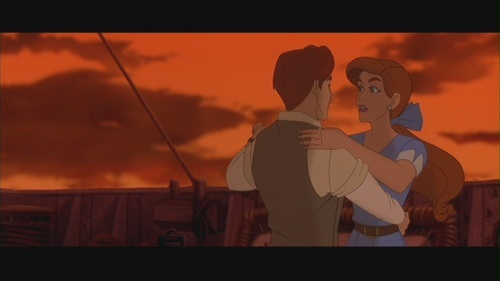 Screencaps of anastasia & Dimitri from the 1997 animated film "Anastasia.". HD Wallpaper and background images in the parejas de películas club tagged: anastasia dimitri screencaps 1997 film movie animated film animated movie movie couples screen capture. This parejas de películas Screencap might contain concierto. Bella and Edward - Twilight! Robbie & Julia in "The Wedding Singer"
Edward & Vivian in "Pretty Woman"
anastasia & Dimitri in "Anastasia"
Westley & Buttercup in "The Princess Bride"
Princess Leia & Han Solo in "Star Wars Episode V: The Empire Strikes Back"
queen Victoria & Prince Albert in "The Young Victoria"
Cher & Josh in "Clueless"